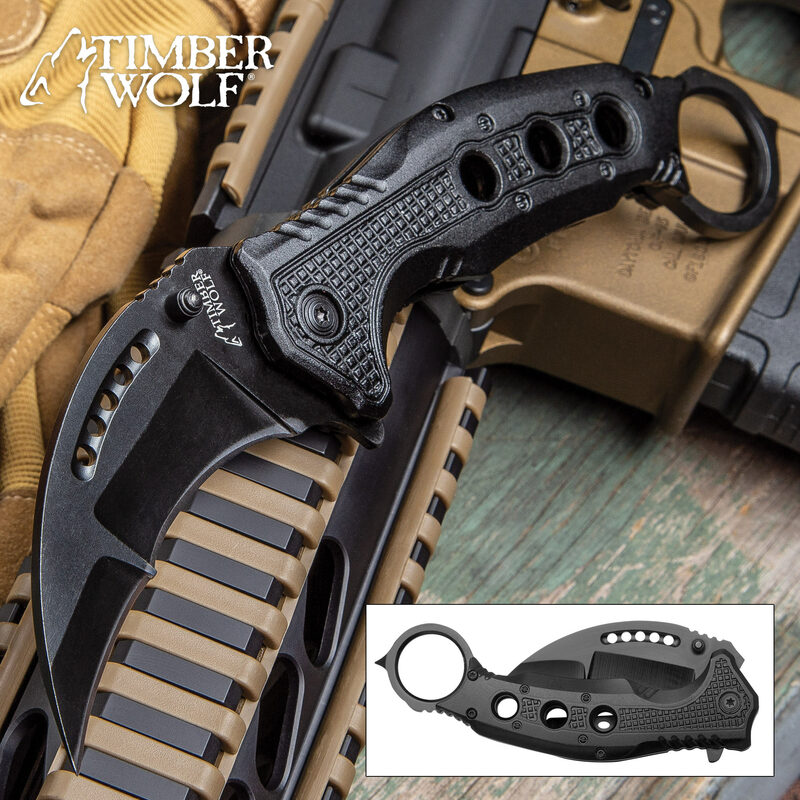 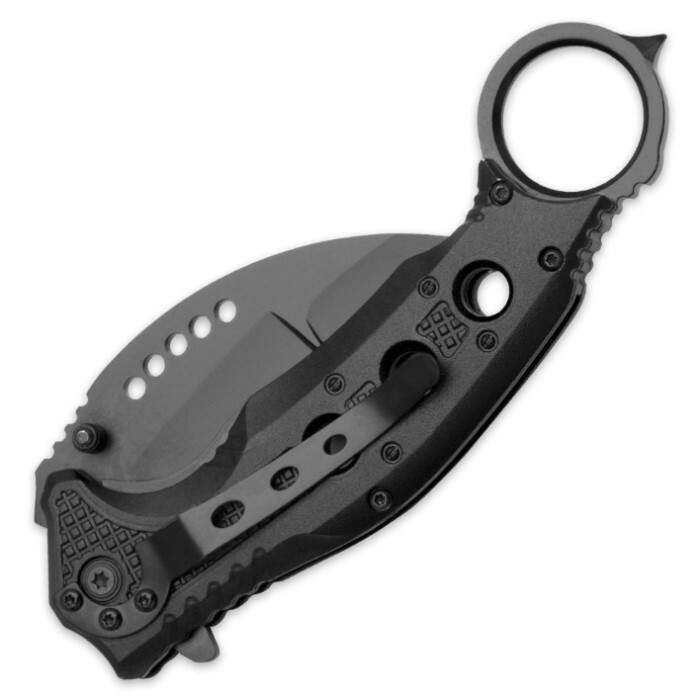 Timber Wolf Black Finish Karambit Pocket Knife | BUDK.com - Knives & Swords At The Lowest Prices! 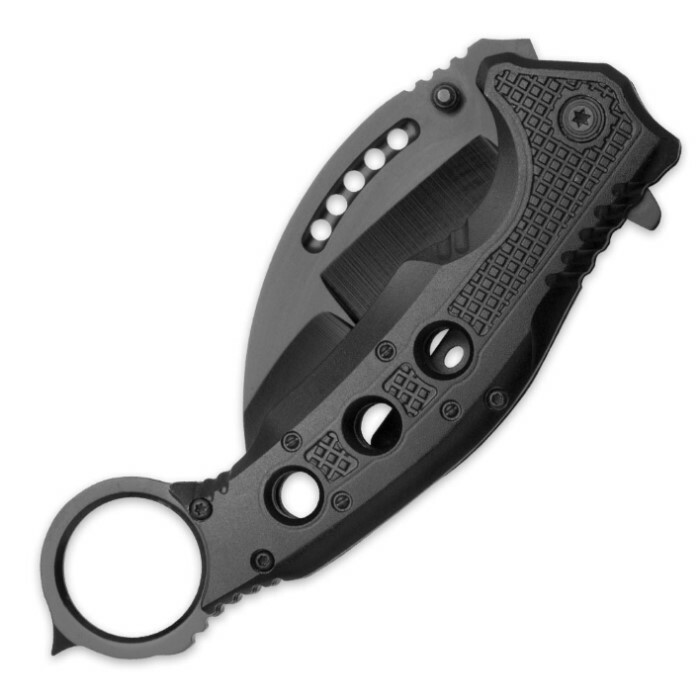 Blade came dull out the box, assisted opening mechanism needs assistance and knife is a lot heavier than expected. I really shouldn't complain for only spending $10. 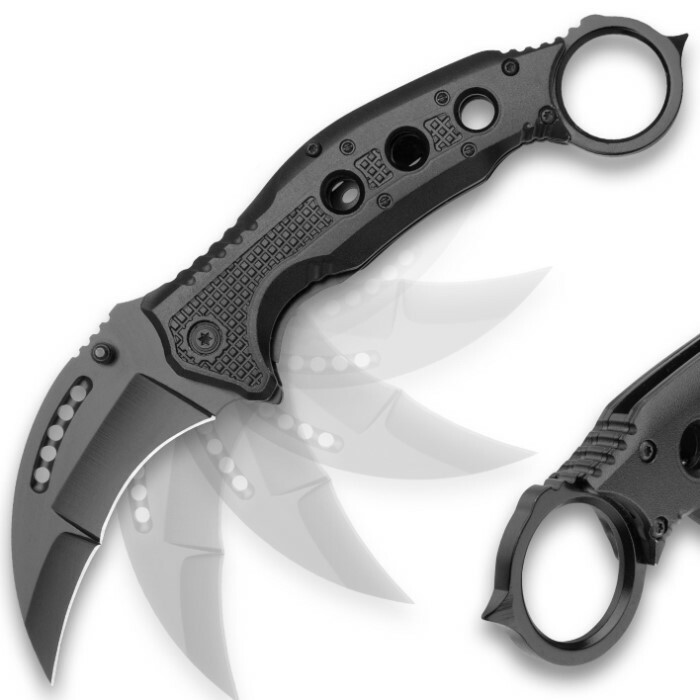 Or should I?